Wolves, tigers, crocodiles – the deep, dark wood has it all. This ‘scary’ book might not be the best bedtime story choice… Or maybe it is in fact the perfect choice. Does your preschooler dare to venture into the Dark Night? 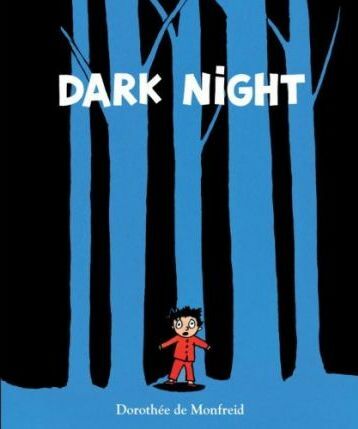 Dark Night by Dorothée de Monfreid is the story of a little boy, Felix, who finds himself in the woods one very dark night. He looks scared silly from the outset and a frightening noise sends him running to hide in a hollow tree. Things go from scary to scarier for Felix as a number of ferocious animals make their presence known. A little rabbit comes to Felix’s rescue and between the two of them they manage to outwit the terrifying animals not once, but twice. Dark Night is available from Fishpond for $19.95. And for those readers who are still battling monsters in the bedroom, try the Monster Bomb that we reviewed previously on Babyology.